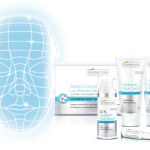 Every skin type and especially: dull and anoxic skin, smoker’s skin, ashen skin, wrinkles, lack of skin firmness, dry skin, skin affected with premature ageing and oxidative stress, puffy eyes and dark circles, sensitive skin, excessively tanned skin. illuminated, brighter and oxygenated skin, slowing down changes caused by oxidative stress and harmful effect of UV radiation, reduction of puffy eyes and dark circles, reduction of wrinkle depth and increased skin firmness. The recommended series is 4-8 treatments once a week, for better skin condition 1 treatment once a month. immediate cleansing and deep moisturization of the skin, fresh, youthful look. 1. 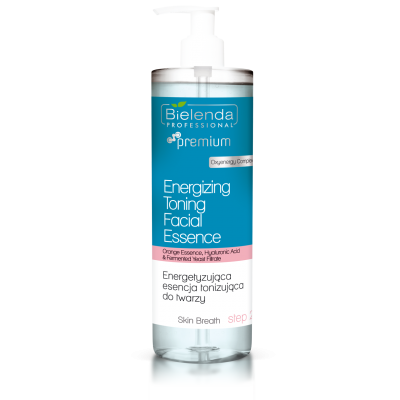 Remove make-up precisely from the treatment area with the Bielenda Professional cosmetics best matching the skin type of the client. We especially recommend Skin Breath products. 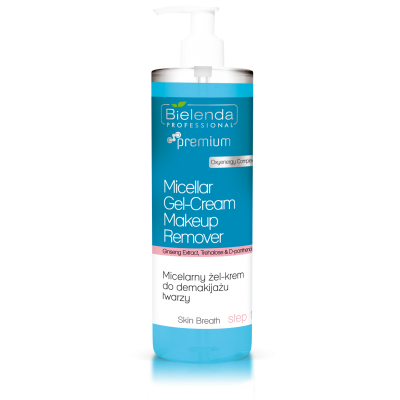 In order to cleanse the skin, apply the Skin Breath Micellar Gel-Cream Make-up Remover on a cotton pad and remove make-up. It is also perfect for the sensitive skin of the eye area. 2. After cleansing the skin, wipe it with a cotton pad soaked with the Energizing Toning Facial Essence. Do not rinse. 3. Apply a portion of Skin Breath Bubble Peel Mask (approximately 10 doses) on the cleansed face. The mask will gently tickle your skin when foaming. After approximately 10 minutes, rinse with clean water. CAUTION! The mask increases its volume considerably when foaming, so avoid the eye, mouth and nostril area and leave approx. 1 cm margin. Rinse with lukewarm water in the case of irritation. 4. Massage Skin Breath Energizing and Nourishing Face Concentate into cleansed skin. The preparation may also be applied with ultrasounds or needleless mesotherapy. You can apply the serum directly or in combination with the ultrasound gel. Do not rinse. 5. Measure out 90 ml of cold still mineral water in the shaker. Add 2 measures of powder and shake vigorously several times. Pour the mask into the shaker cap and then apply onto the face with a spatula, avoiding the eye, mouth and nostril area. Remove the mask completely after 15-20 minutes. 6. At the end of the treatment, apply Skin Breath Energizing Caffeine Eye Cream onto the eye area and Skin Breath Energizing and Oxygenating Face Cream, gently patting them in.